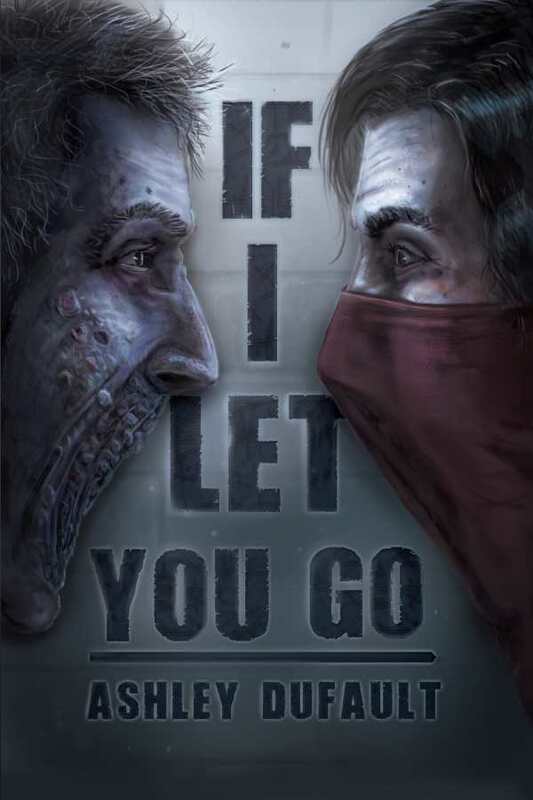 If I Let You Go uses chilling descriptions to paint a frightening picture of a postapocalyptic future. Ashley Dufault’s If I Let You Go addresses classism and revolution in a postapocalyptic world full of secrets, hidden loyalties, and lies. Hundreds of years after the world’s water and air were poisoned and its populations destroyed by warfare, what’s left of humanity survives in underground bunkers. The social systems that have emerged there are strict and often violently enforced. Edwin is a member of the Least Privileged, the worker class that has no mouths and toils under guard, told that they are helping to manufacture items for the military. Unlike many of the bitter and rebellious Least Privileged, Edwin is loyal, hardworking, and believes in his cause. When he is finally promoted into the guard, he finds that the world he knows is based on fear, brutality, and falsehoods. With a rebellion bubbling in the bunker, everyone must choose a side. If I Let You Go uses chilling descriptions of workers and bunker life to paint a frightening picture of a postapocalyptic future. The rooms and living quarters are easy to imagine, if the layout of the bunker as a whole is not. Though most of the novel takes place inside the underground facility, there are a few adventures in the outside world; they are effectively represented through the lens of someone who has never seen it before. Some descriptions within the bunker seem anachronistic. Edwin is relatable, even though he starts out as a true believer in the corrupt system. As he is groomed for promotions, he begins to question the system; his evolution toward skepticism is compelling. Edwin’s physical deformities add to the unsettling nature of the novel. Other leads include Airlee, another Least Privileged worker with whom Edwin forms a bond, and River, the wife of the facility’s military leader. Airlee and River experience revelations of their own, and their stories are used to explore the efficacy of classism and brutality as methods of control. While such characters are emotionally rich, there are no backstories to flesh them out, and their choices are not always well contextualized. Dialogue is occasionally stiff, though character speech patterns are uniquely rendered. Those without mouths are given alternative communication methods; their internal monologues are distinctive. The suspenseful plot moves at a moderate pace, with character development driving the story. Broader concepts—particularly around the war and the unknown dangers of the outside world—are less explored. As the novel draws to an end, an abundance of plot twists and discoveries open up more questions than they answer, and the conclusion feels open-ended. Haunting and suspenseful, If I Let You Go is an emotionally driven story about authority, rebellion, and humanity’s center.